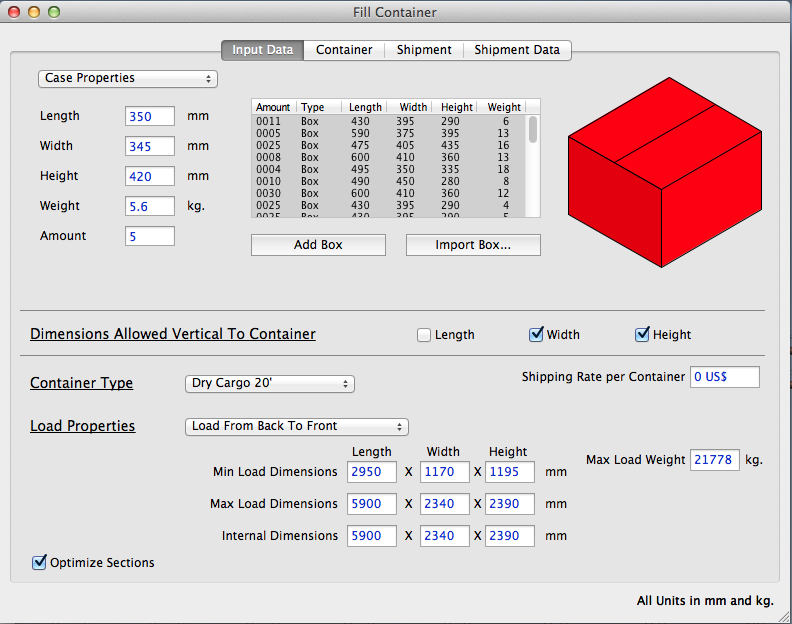 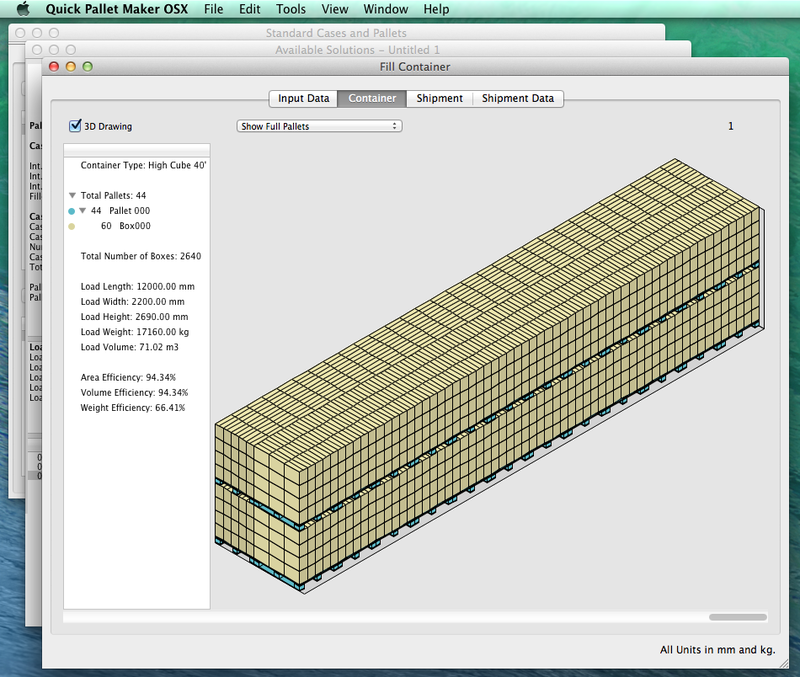 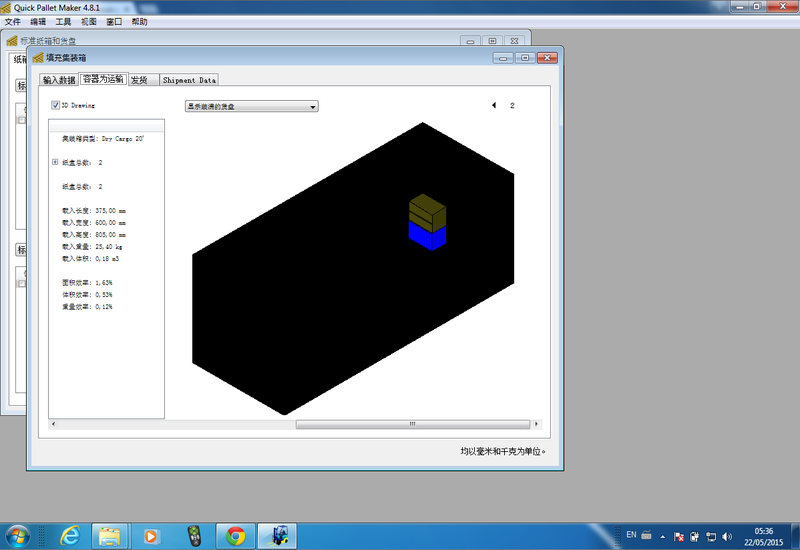 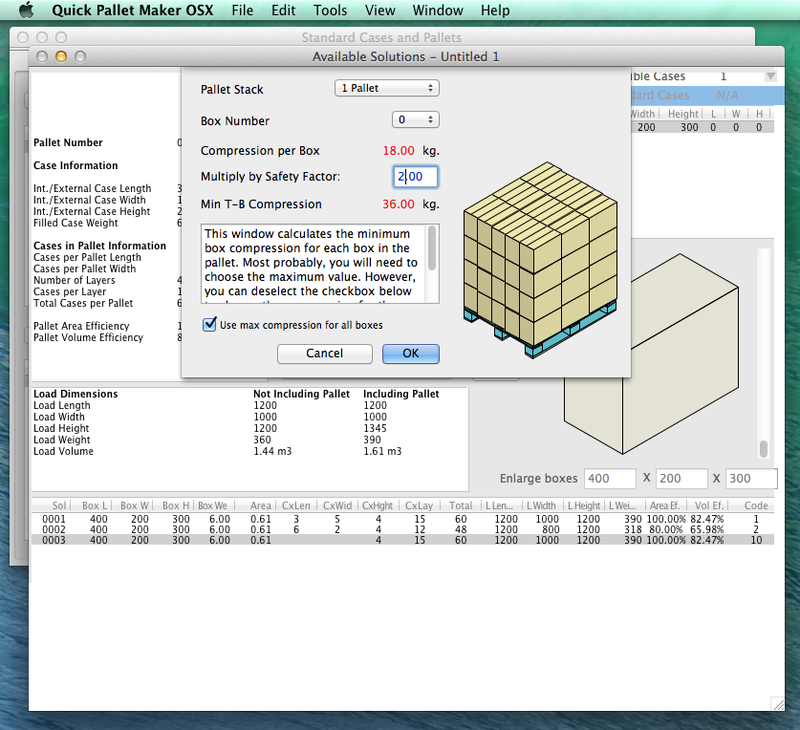 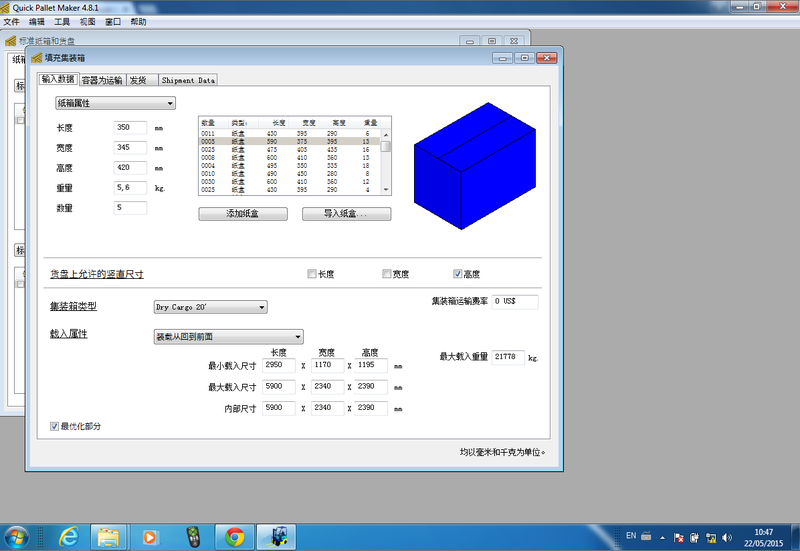 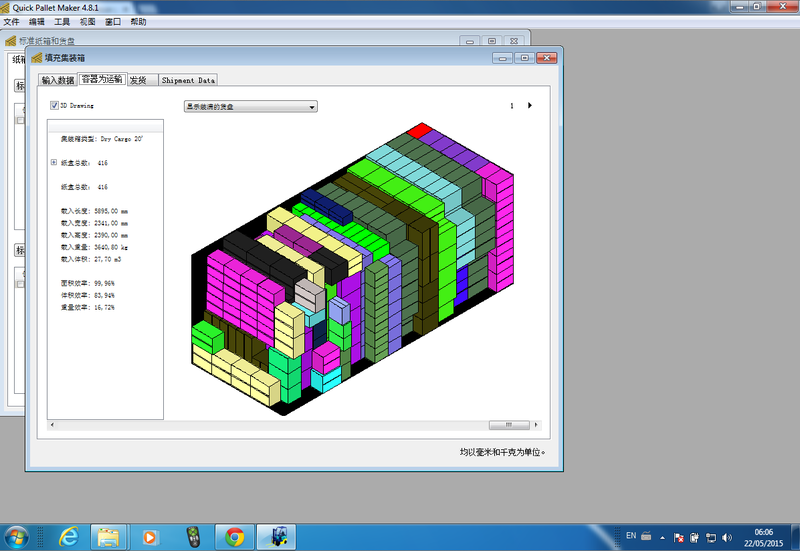 Calculate a container with boxes and then create a Bill of Materials that shows the container content. 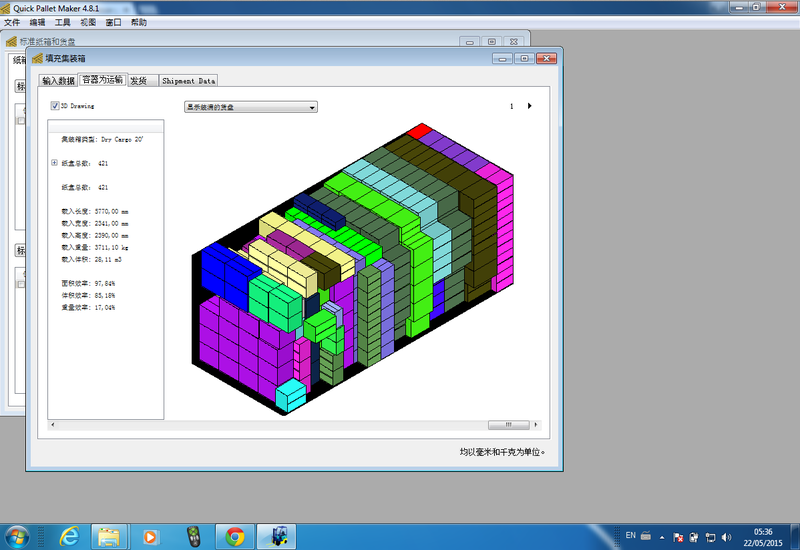 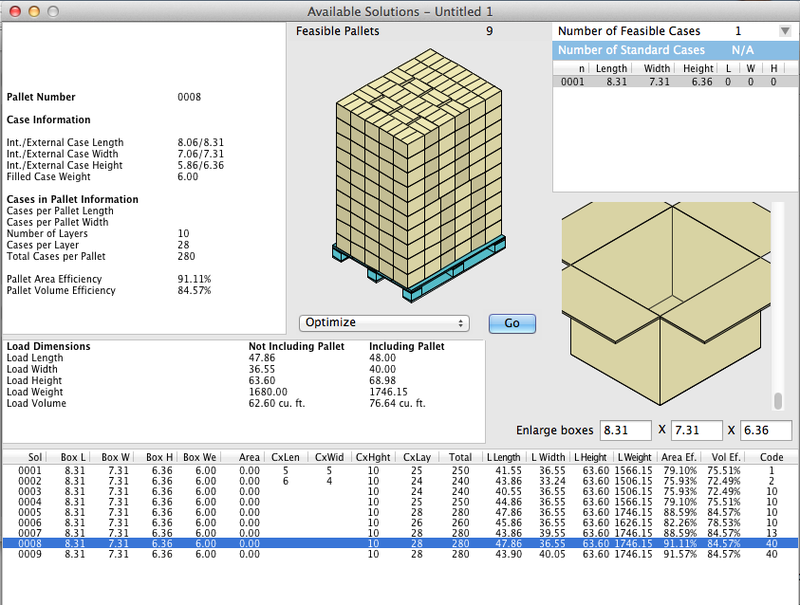 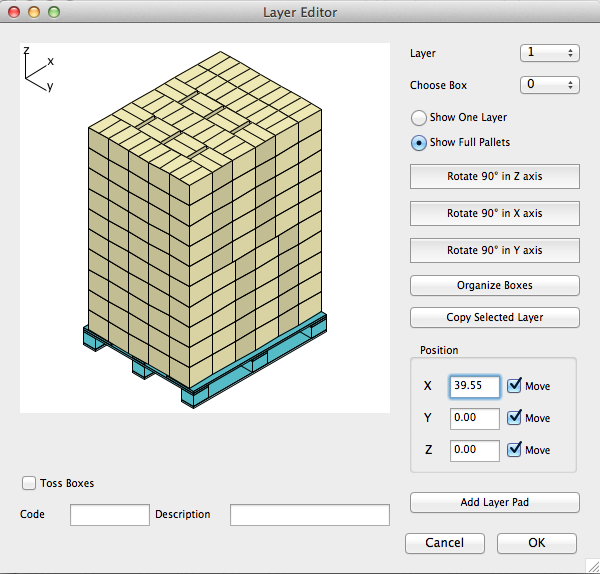 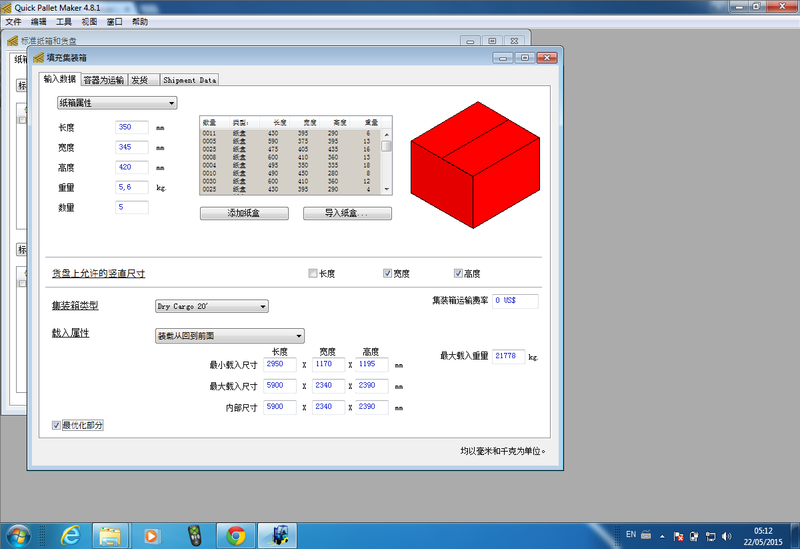 Calculate the minimum weight that cartons within a pallet configuration must support to avoid collapsing. 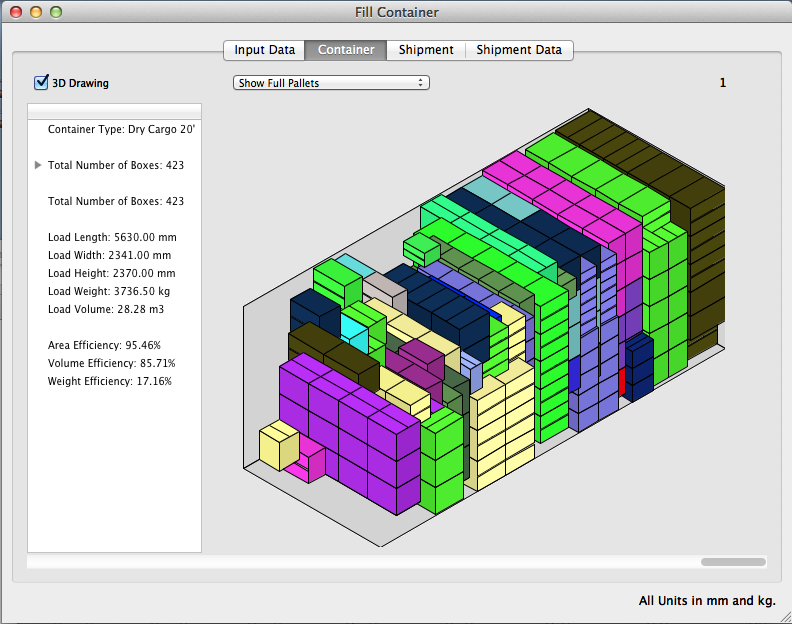 Filling a pallet with boxes and then a container with those pallets.